Suva is progressing well in preparation for their first game against Auckland City at the ANZ Stadium on Saturday. 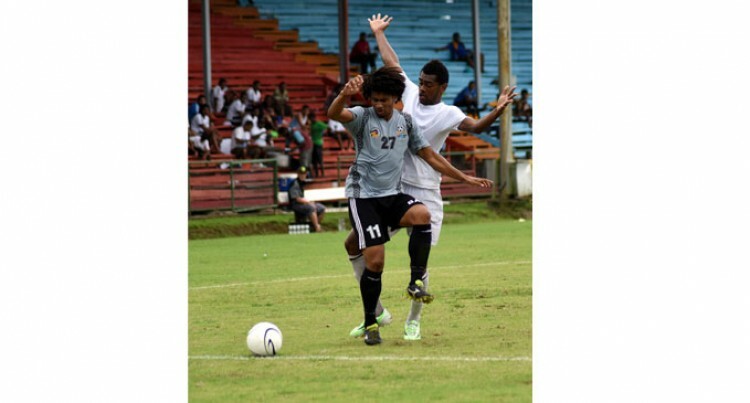 Suva played their last build up match against Ba on Sunday where they won 3-2 win with goals from Pita Rabo, Rusiate Matarerega and USA-based Ethiopian Abdul Aman. Coach Gurjit Singh was happy with the progress the players have made so far despite a few areas that need to be touched up before the Fiji Airways Oceania Football Confederation (OFC) Champions League kicks off this weekend. “The build-up game is important in order for us to perform effectively,” Singh said. “I’m happy with the progress but there is still a lot to be done. “There was a lack of concentration in the second-half and that is something that we need to work on. Playing in the Champions League is a different level of football compared to the tournaments we play locally. “We need to be focused and alert at all times, but overall I am happy with the performance with most of the boys. “I’m happy with the new players, they did well and there was a lot of communication out on the field and that is what I want. Suva play defending champions Auckland City in their first match at 4.30pm.